Ready to drive the Ladue streets in a luxurious, efficient, and capable SUV? The new 2018 Mercedes-Benz GLC is the total package. With excellent fuel economy, a spacious and feature-laden interior, and great safety features, the GLC has what you need for your daily commute. Make sure to view our new vehicle specials as well, to get an even better deal on this exceptional SUV. 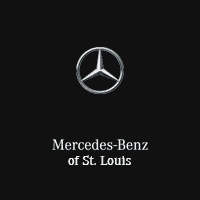 Once you’ve found your perfect model at the right price, stop by our dealership in St. Louis or simply contact us online with any questions you may have!